For this Valentine's Day, I'm thinking Pinks, not Reds. Rosy Pinks, not Hot Pinks. I once read in Cosmo that men are most likely to be more attracted to a woman on a first date or at a club, if she is wearing pink. Last night I was telling my man that I want to go buy a dress for V-day, and he said "Ya, get something pink". Ting! Cosmo does know the mens, doesn't it? ;). Which one I'm wearing? MUFE Rouge Artist Intense #32 or Maybelline Water Shine 3D Collagen 402, assuming one of them will go with the pink dress I haven't bought yet. heheh thanks for the swatches! Nice collection! I also love the MUFE lipstick out of this!! 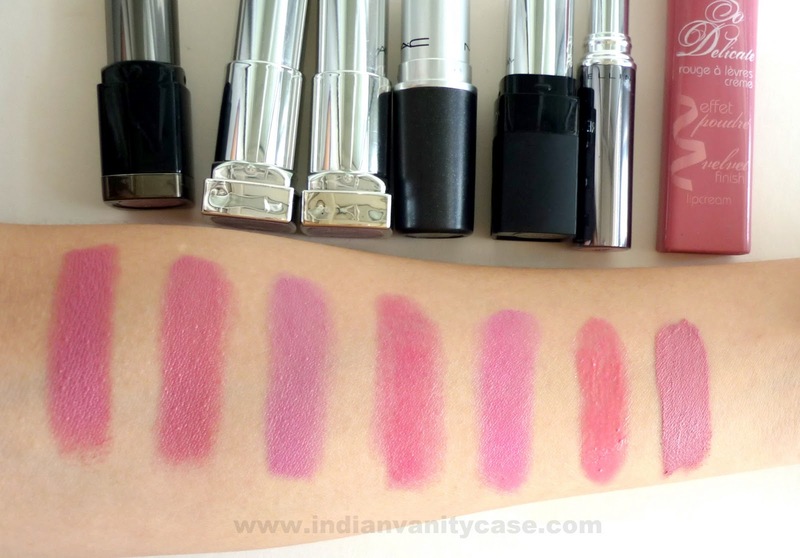 My favorite pink is Lancome Vintage Rose . Lovely collection. 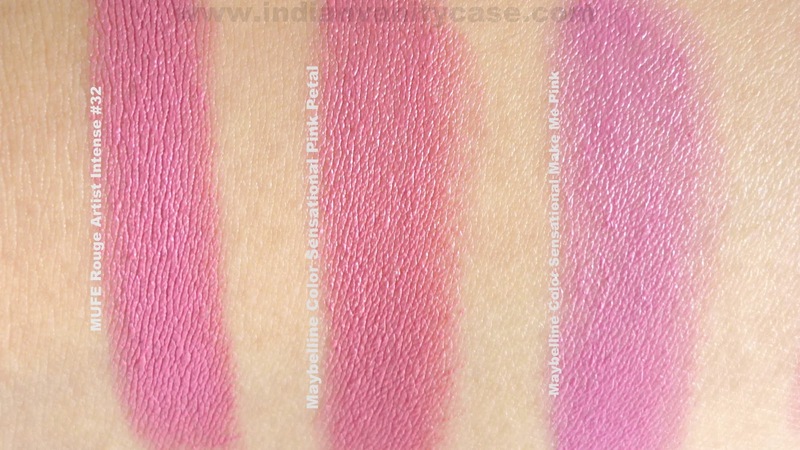 Can u suggest a pink lippie in Maybelline, medicum skin tone, pigmented lips. hey, i need a help..am just thinking of buying a long lasting liner in black...what abt revlon colorstay eyeliner..cn u do a review on dat? Love your picks for the V-day!! 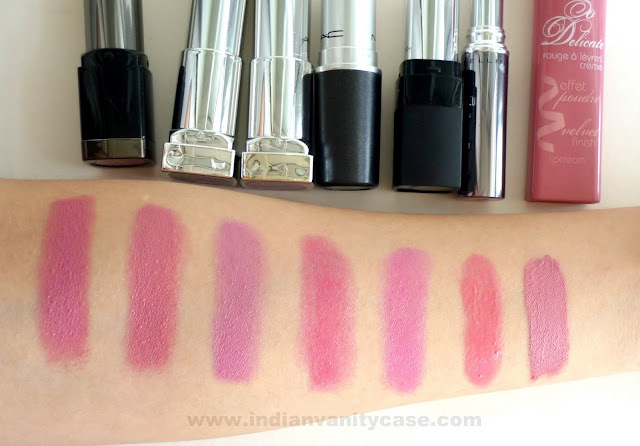 I am eyeing on that Revlon Colorburst Carnation! Rashmi- Hehe...I think it'll look good on u dear.. Check out #29 too..I like that a lot.